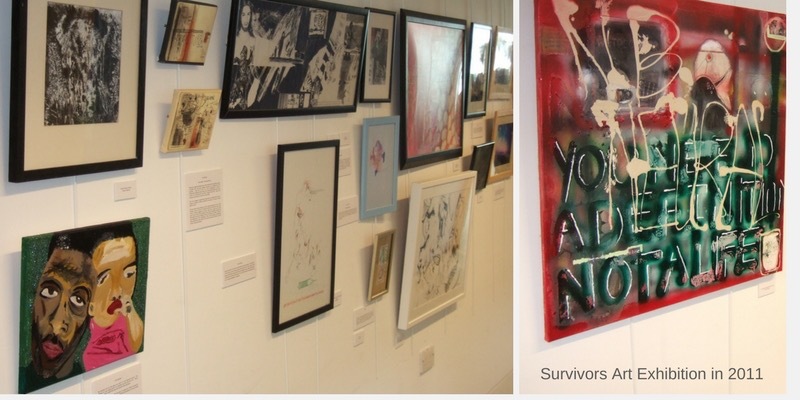 The Survivor Arts Project at the University of Birmingham, School of Social Policy, began in 2006. Its aim is to provide a space where mental health survivors’ perspectives could be communicated through the arts. Through collaborative work with survivor artists, poets and writers from Suresearch and other local organisations, this project has grown from year to year. It has a permanent exhibition of paintings, drawings, sculpture, textiles and poetry on the 7th Floor of the Muirhead Tower, Edgbaston Campus. Each year members of Suresearch contribute to the University of Birmingham ‘s Annual Open Day, sharing their creative work with the community. You can view a video about the Survivor Arts Project, which was made by Suretech, a Suresearch film making group, here. Suresearch members and other survivors also contribute to the University’s social work teaching programmes. As artists, poets and writers they are active in local networks and projects, developing opportunities for the creative expression of people who have experienced mental distress and used mental health services.